There is an old adage that we tend to over-estimate how much we can get done in the short-term and under-estimate how much we can get in the long-term. If you think back through your experiences you may find this holds true for you. Last weekend I got a lesson that could turn that on its head. The crew that built the Yorktown completed the task in just 16 1/2 months. That is unbelievable, but it got me thinking … Exactly what can I and my team get done in 16 1/2 months? It’s time to set some stretch goals. Imagine just how much Capt. Joseph Clark could get done in the long-term … I call that inspirational! 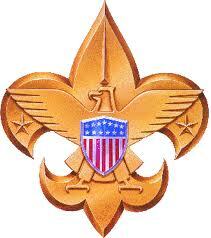 Webelos are required to learn the Scout Law as they prepare to become Boy Scouts. A Scout is trustworthy, loyal, helpful, friendly, courteous, kind, obedient, cheerful, thirfty, brave, clean and reverent. Feel free to use this and share it with others. With the help of a few resources I found online, I created a template that Den Masters or Akela’s can provide to their Cub Scout(s) to create their Safety Notebook as required by the second requirement of the WEBELOS Fitness Activity Badge. I’m planning to use this activity to close out our activities in Fitness. As part of it, I’ll encourage the boys get creative putting a cover on the this notebook using construction paper, markers, and paint. This creative activity will bridge the boys toward starting the WEBELOS Art Activity Badge. This activity can be used to complete the requirements for the WEBELOS Fitness Activity Badge. Please feel free to use and share it.